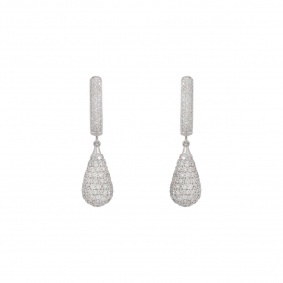 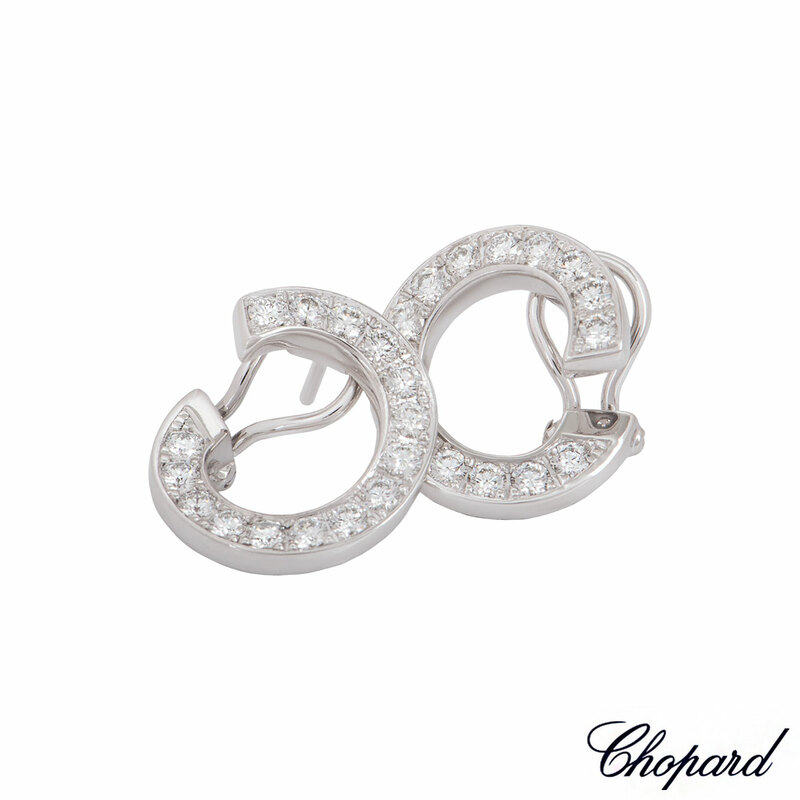 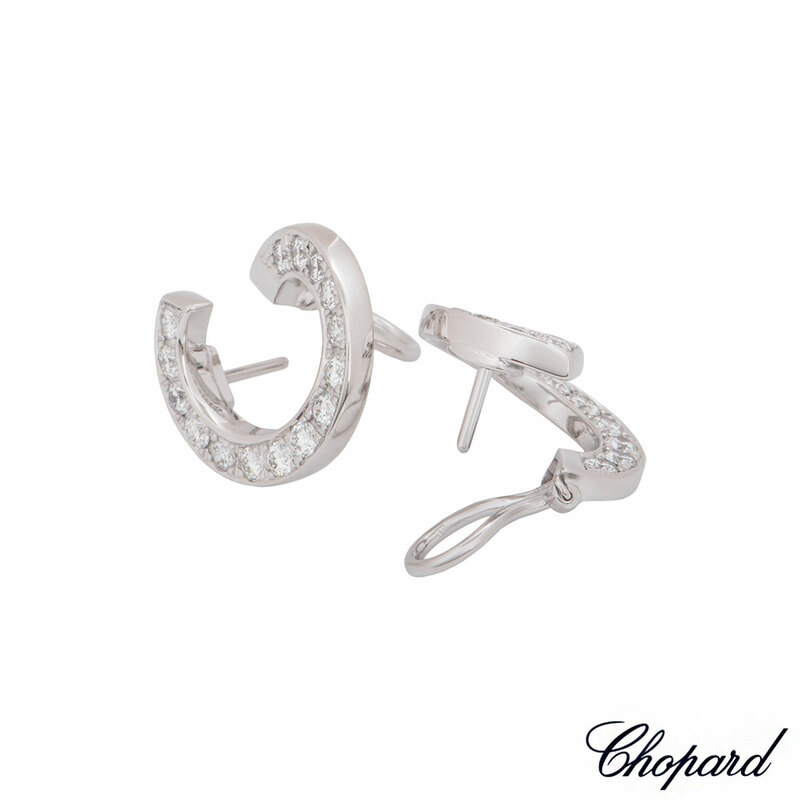 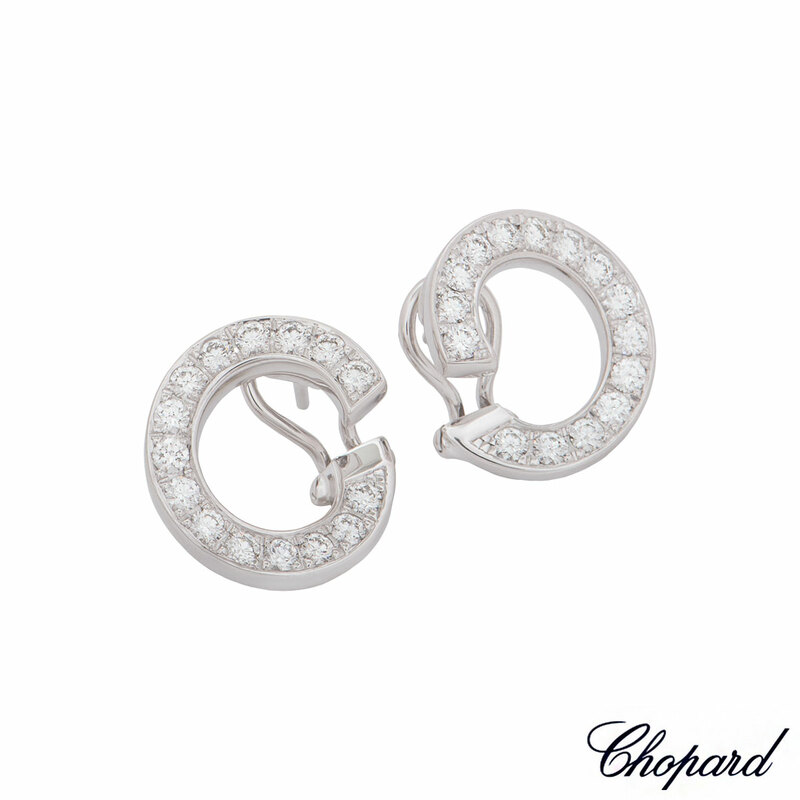 An 18k white gold pair of diamond earrings by Chopard. 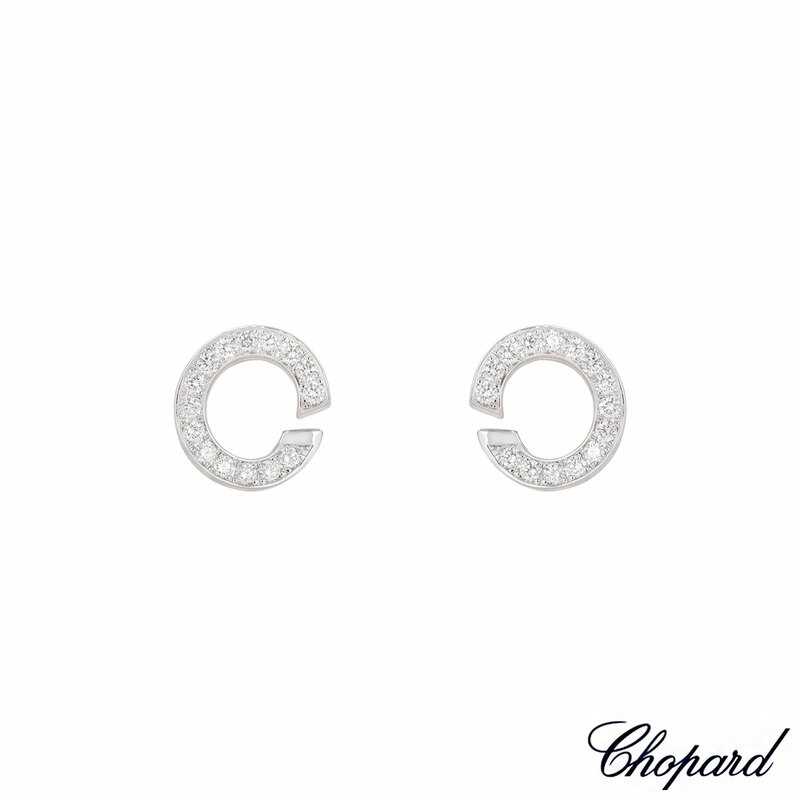 The earrings comprise of a C shaped design each set with 15 round brilliant cut diamonds with a total diamond weight of 1.50ct. 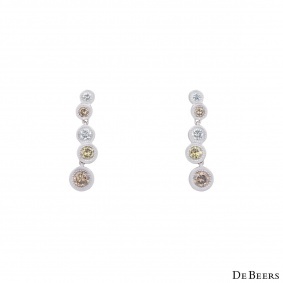 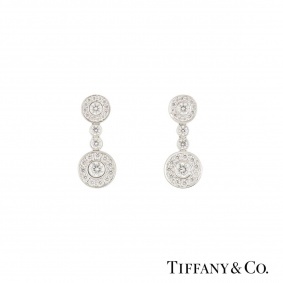 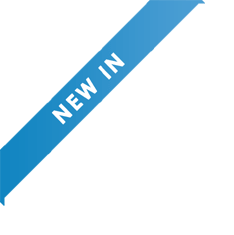 The earrings feature a post and lever hinged fitting with a gross weight of 8.70 grams. 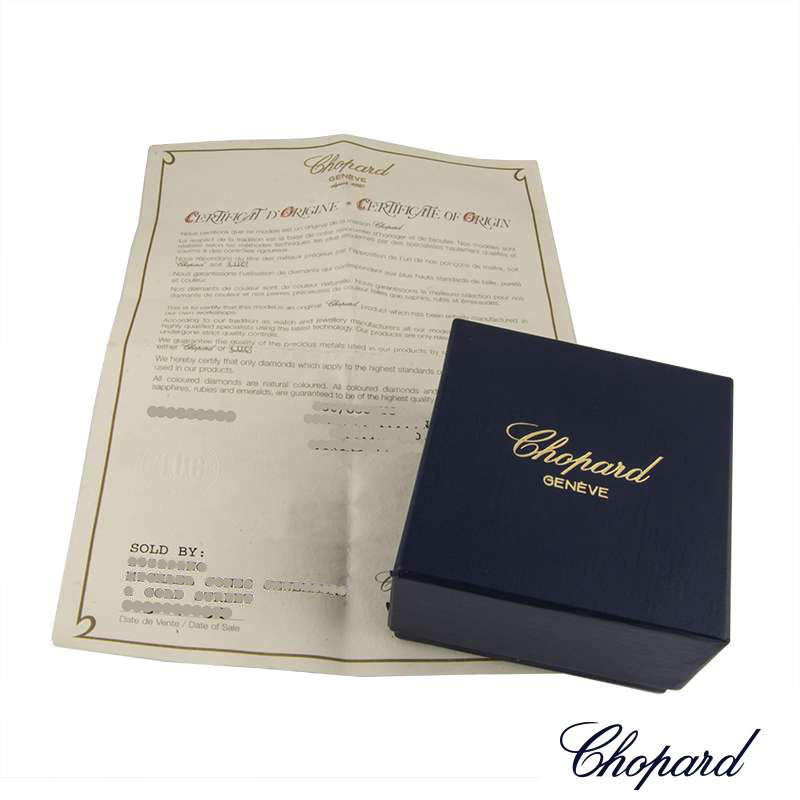 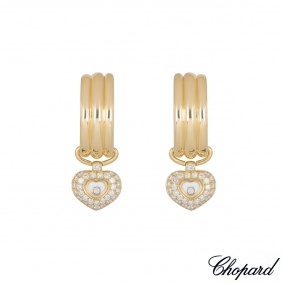 The earrings come complete with a Chopard presentation box and Chopard papers dated 2011.